Automating the collection of data saves time and minimizes human error. We create systems to retrieve the information you need and compile it how you desire. When the weekly fashion publication, Apparel News, wanted to modernize the way it aquired new subscribers, we integrated a form into its website to process subscriptions. 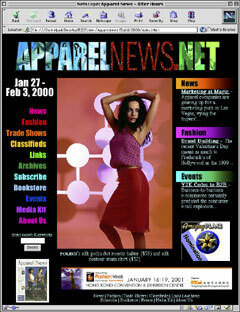 ApparelNews.net now collects subscriber and credit card information electronically and its staff receives the organized data in convenient e-mails.